Nothing quite like Al's pottery has ever existed before. 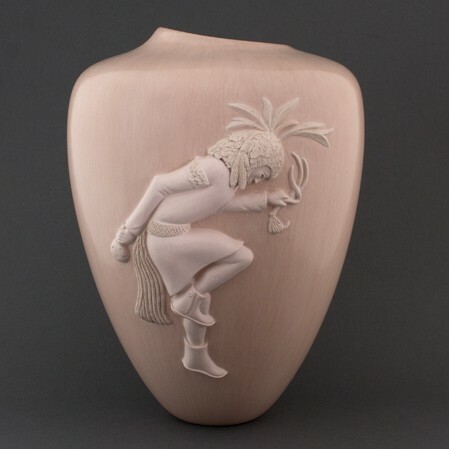 As with Native traditions, his pottery traditions run deep. Contemplative by nature, studiously quiet at times, and at other times he is quite gregarious, especially when describing his passion for the clay and its heritage. 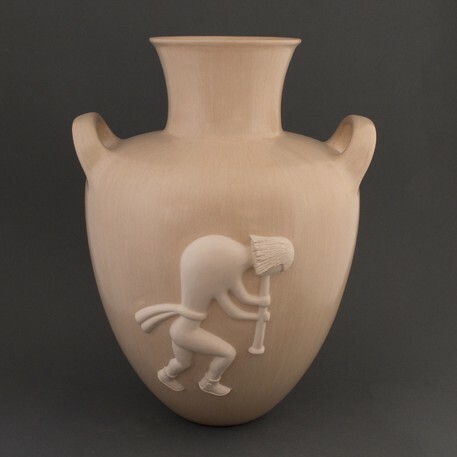 As a descendent of the Coyote Clan, Qoyawayma (pronounced ko-YAH wy-mah) is a direct recipient of the Sikyatki tradition of ceramics which traces to 1400 A.D., and earlier. His style has its roots in the low shouldered forms of the Sikyatki culture; most likely of Keres speaking peoples, rather than Hopi. The Sikyatki tradition was first discovered by the Smithsonian in the early 1890s. That discovery became the inspiration for Nampeyo's (Hano-Tewa) creative style and subsequently her influence on today's Hopi-Tewa pottery tradition. Al learned from his aunt Polingaysi Qoyawayma (aka Elizabeth Q. White) the aesthetics and philosophy of their ancient tradition. Another major influence in his artistic approach was his relative Charles Loloma, a major innovator in ceramics and jewelry, as well as Al's father, Poliyumptewa, a painter. Collectors describe Al's ceramics as timeless, sensuous, sublime, elegant and perfected, reflecting the hues and shadows of the high desert landscape. In his original sculptural/repousse technique Al describes himself as an experimentalist creating in an eclectic minimalist style. His goal is to reflect a timelessness in style, and the migrations and the origins myths in the Americas. 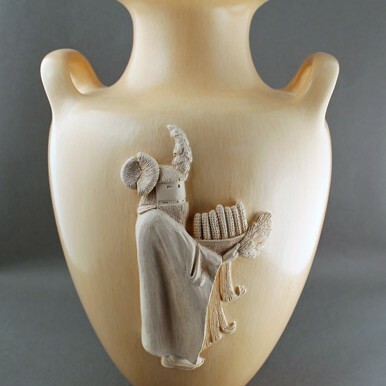 Perhaps best known of his works are the architectural series and large vases with dancing figures. More recently Al has added a new carved polychrome style. Feathers, dancers, insects and other symbols are carved in relief, incised, and sometimes on recessed planes. Thus, several individual surface plains and textures may be present in the same piece. In a new and unusual step, some of the polychrome surfaces are painted and polished in a continuous gradient of many colors, as might be obtained in oil painting techniques. 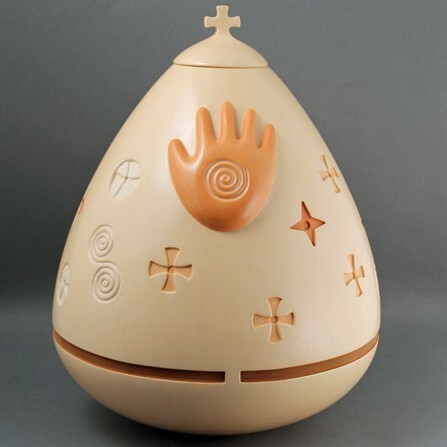 Influenced by his Native culture, Al sees little differentiation between culture, the arts, science and the spiritual worlds. His creations are diverse: they vary from patented high technology work to his innovative art. His education and interests are equally diverse. Al sees education as a key survival strategy for Native peoples. He has served a six year Presidential appointment as Vice-Chairman of the Institute of American Indian Art (IAIA). That was balanced by serving as the co-founder and first Chairman of the American Indian Science and Engineering Society (AISES), a 25 year old international membership organization serving Native students and the new cadre of Native professionals.